Five months of travel is coming to a close. So far, it’s been an amazing journey on every level, and the biggest question for me was how to end it with a suitable finale. That’s a lot of pressure on a final two week trip. The only way to put more pressure on the trip would be to use it to celebrate my 20th wedding anniversary with my wife, Sandee. I can’t take credit for the itinerary on this trip as she planned this one all the way through. She chose to Chile as our anniversary (and my final trip) stomping ground. 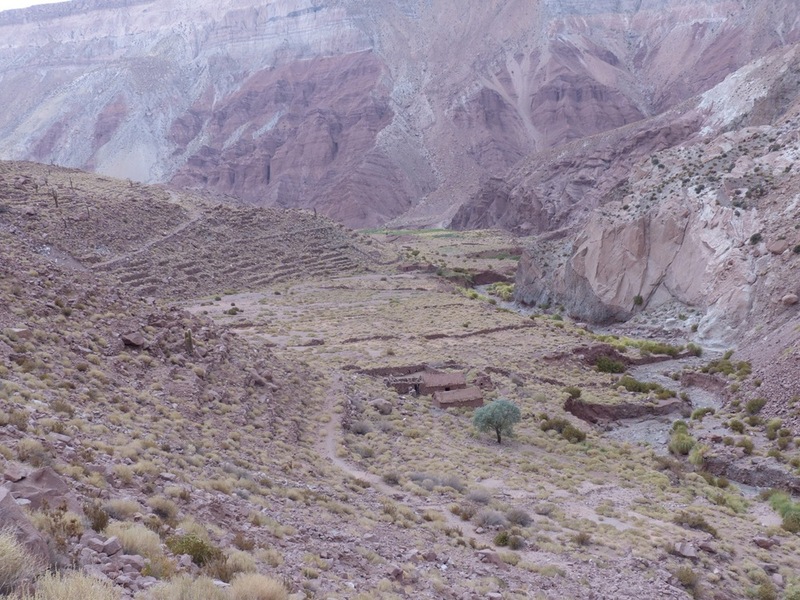 We have heard about Patagonia for many, many years, but we also heard about a less well known part of Chile from friends of ours who are ridiculously well traveled: Atacama. The trip started with a 36 hour stop in Santiago (a lovely and very funky colonial city, by the way), and then kicked off in ernest with a two hour flight north to a part of Chile that starts at the Pacific Ocean and ends at the borders with Peru and Argentina and not far from Boliva. 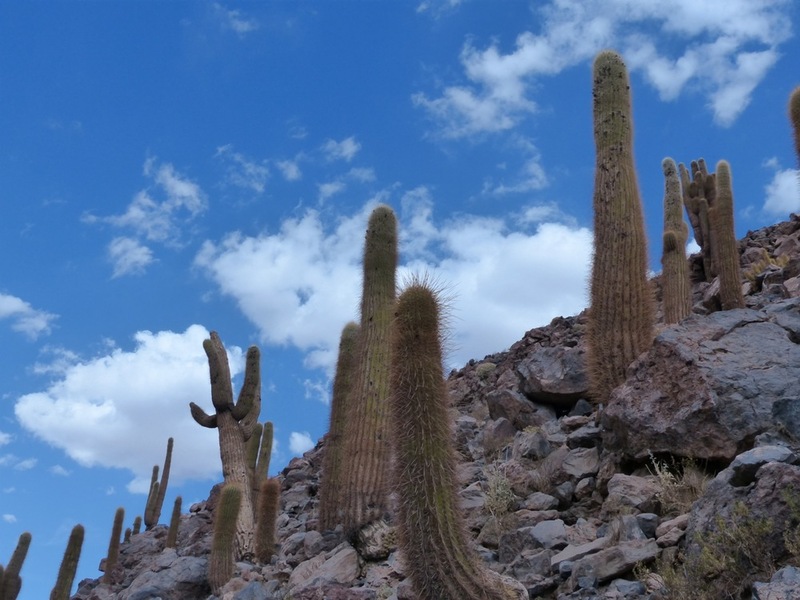 Atacama is mostly known as a desert, and there is a small part of it that is known as the driest place on Earth. 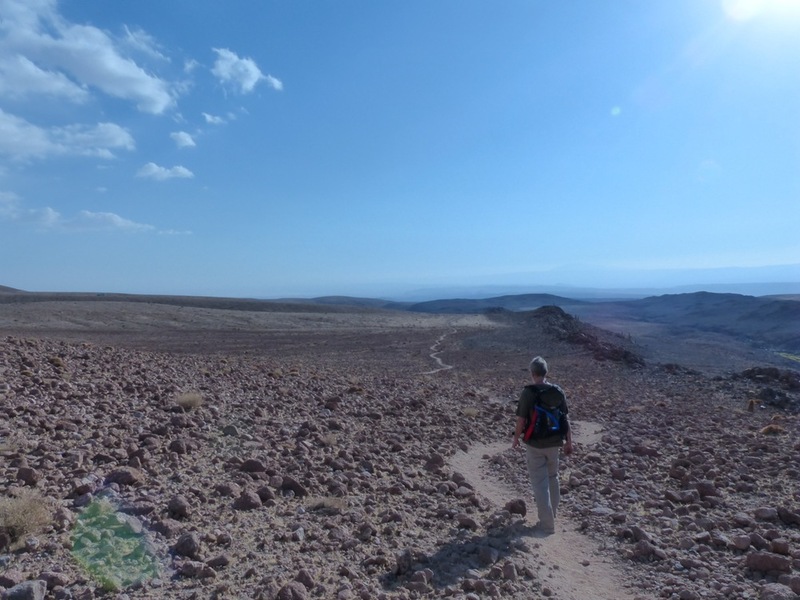 It is effectively a sprawling plateau, with nearly all elevations at 8,000 feet, and climbing much higher than that (13-14K at the El Tatio geysers) Therefore, going in, I though Atacama would mostly be a desert experience, but the place is so much more than that. 1. 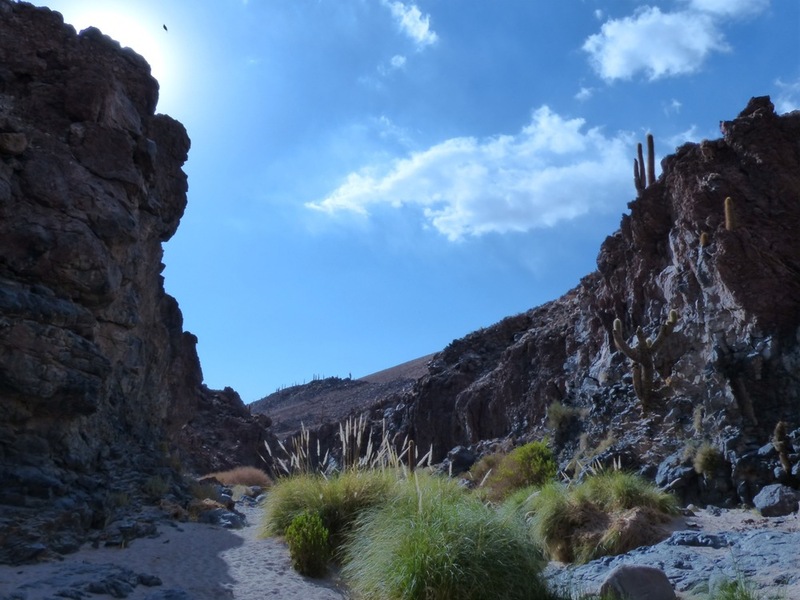 A half day hike in what is called the Cactus Valley (Guatin), which was our introduction to Atacama. This hike took us down the banks of a “river” (more of a creek, really), climbing around beautiful (but sharp) Pampas grass, which provided a striking green against the otherwise brown and sand colored landscape. The rock formations were fascinating, and the ground looked incredibly inhospitable to any attempt of life. In fact, it was striking how little life of any sort was visible, short of the grass along the creek. Suitable to its name, the cacti here were big, old, impressive and imposing. 2. A short (11 mile) mountain bike ride ride to one of the salt lakes. The surfaces the entire way were incredibly flat and remarkably smooth, which make the ride pretty uneventful, but also strangely cool in its own right. Again, we were struck by how little life and how little sound was present. However, nature loves an outlier, and as we were riding, we stumbled on a decent size, round and very green tree with nothing around it as far as the eye could see. Apparently, the underground water tables had sprung a tiny leak to the surface which allowed this solitary tree to happily survive as though it were the last form of life on Earth. 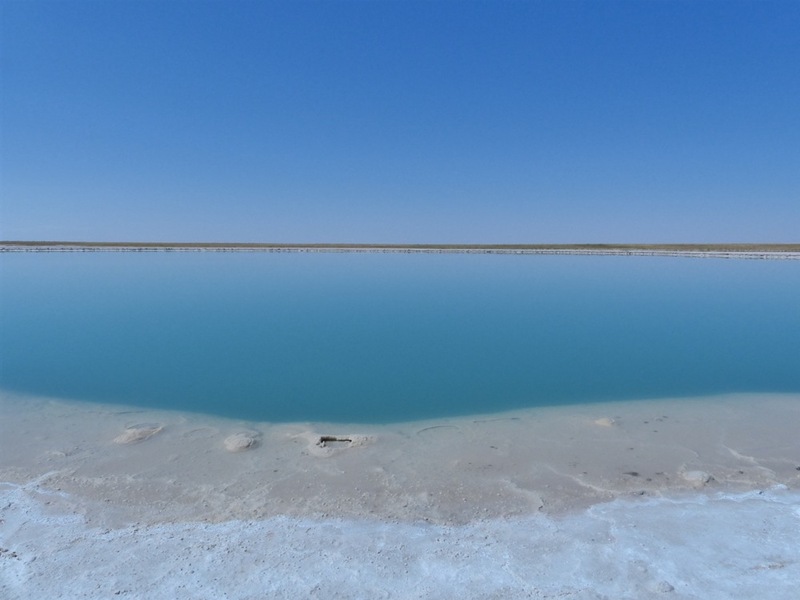 When we reached the salt lake, we took the obligatory swim in what we were told was some of the most salt-concentrated water in the world (the Chileans claim even more so than the Dead Sea). It was vibrant blue water that felt thick as we entered it. We were then treated to nature’s version of a zero gravity experience as it is virtually impossible to swim beneath the surface of this water. 3. 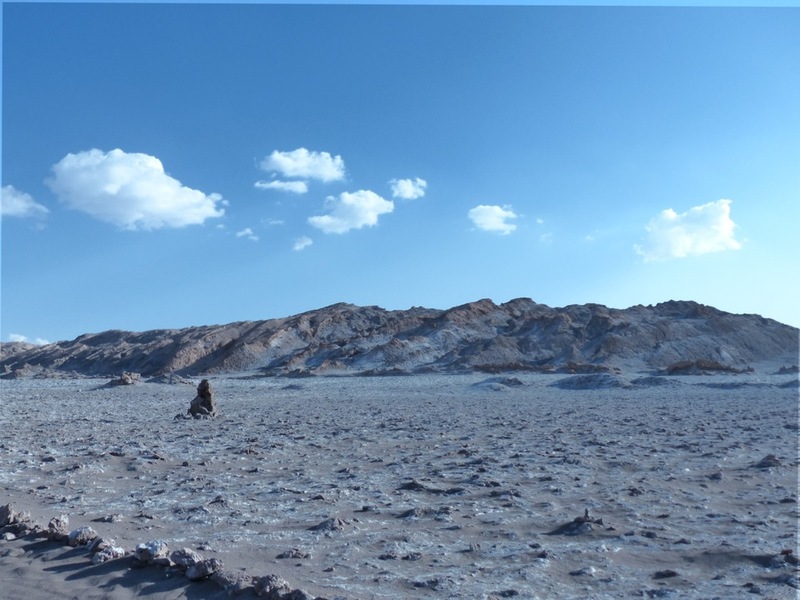 Later that day, we went off to the Valley of the Moons, which are located in the Salt Range of mountains. 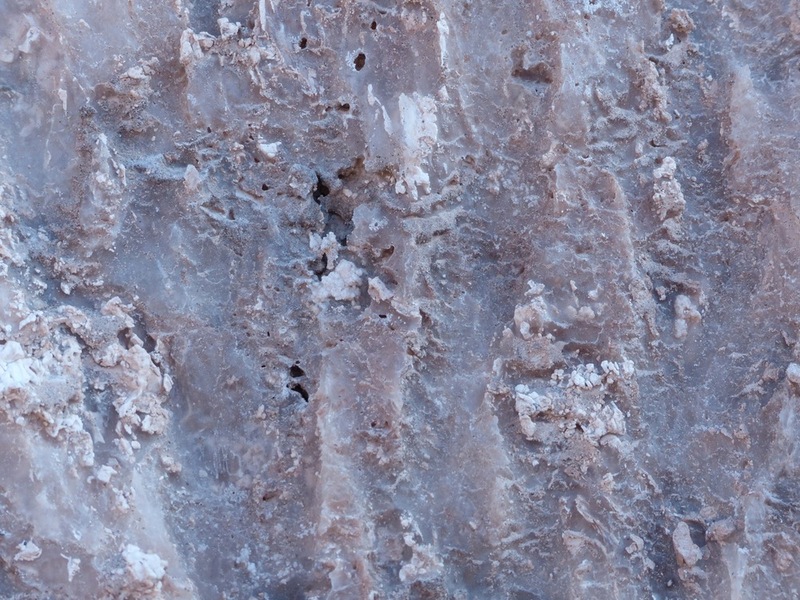 Almost all the rocks here primarily consist of salt formations that were pushed up by the two mountain ranges that run parallel to them (the Andes being one of them). They are wild in both their makeup, as seen close up, and their incredibly unusual and varied formations. Around the hills in the Salt Range is pure desert sand, so much so that we got to see a couple of dudes riding down the dunes in their modified snow boards. Toward the end of the hike, nature chose to give us a true desert experience by subjecting us to brutally hard winds that blasted sand against our exposed skin — nature’s exfoliation treatment. 4. Our second full day we had an all-day hike that took us from Machuca to Rio Grande (no, not Texas). 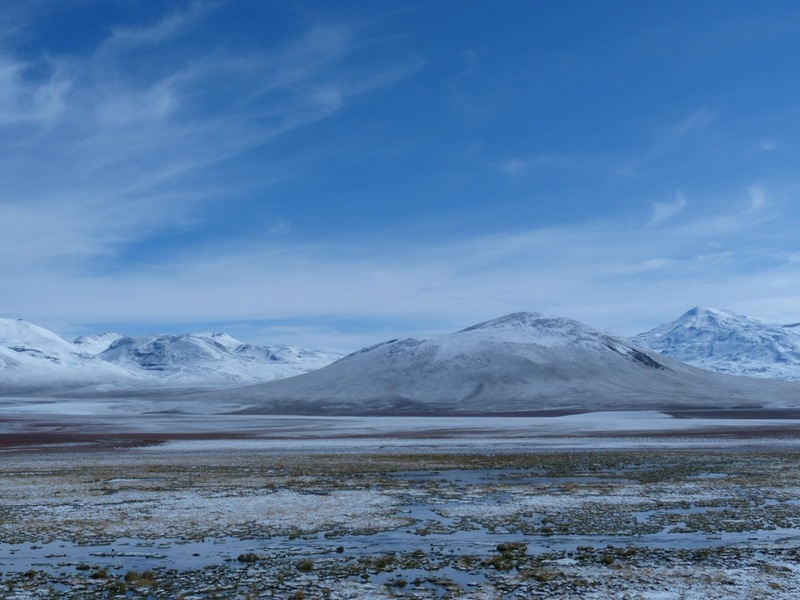 This was a beautiful hike through a now deserted part of the Chilean mountain range. We saw a few towns that were abandoned 50 years ago as the young people who would otherwise have worked these farms had all moved to larger cities. 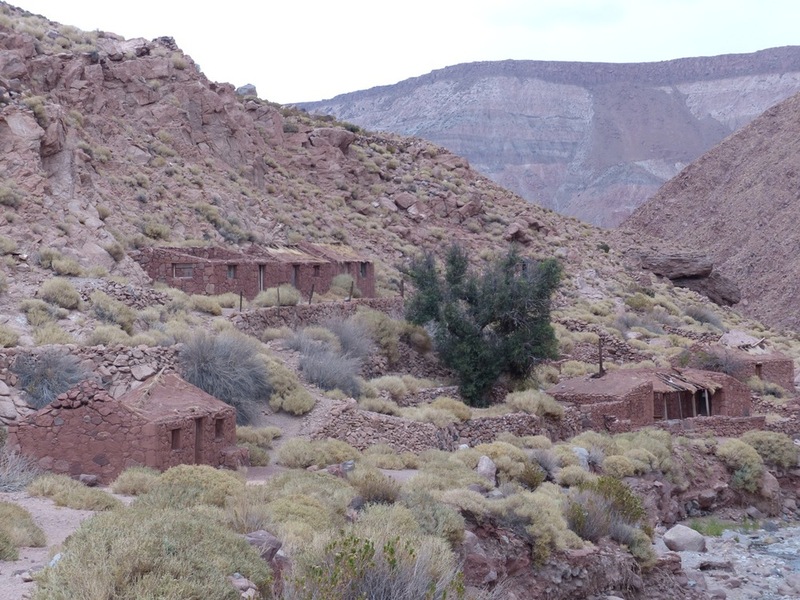 Now, all that is left are overgrown terraces and tiny ghost towns set against the back drop of beautiful red canyons. We were truly the only people around, and our guide hadn’t been there in a year and a half. As a result, many of the trails he knew had been swept away by the winter rains and we were left to collectively figure out how not to get stuck on the high rocky hillsides. Just enough excitement to keep things interesting. 5. 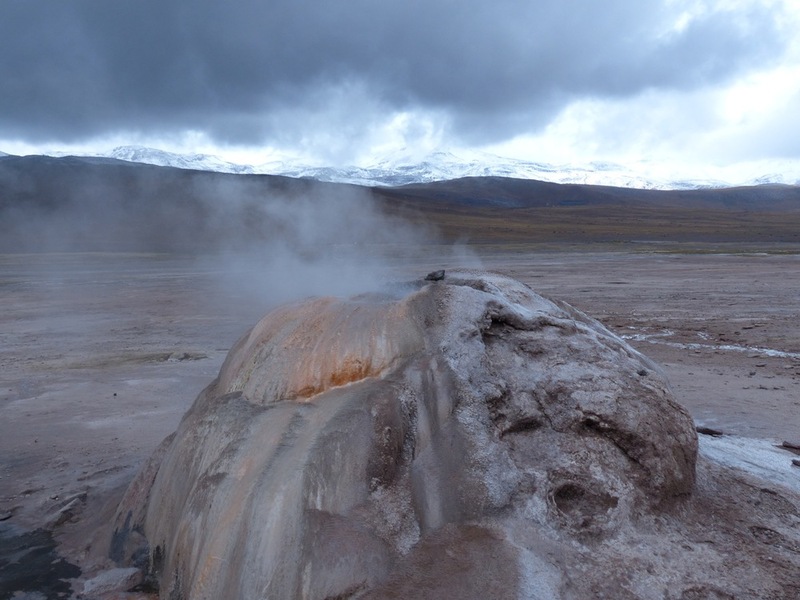 Our last day was a trip to the El Tatio geysers for which Atacama is well known. We left a little late knowing that we would miss the big early morning steam columns, but would allow us to miss the crowds. It was a good choice. The day before there had been an unexpected torrential rain storm that lasted the better part of 10 hours across much of Atacama (so much for the driest desert) and brought big snows to the higher areas and volcanos that surround the geysers. As a result, the usual early morning crowd was sent away due to road closures. We had the dumb luck of going just as the roads were opened, and we were literally the only people anywhere in the geyser fields. Very cool and just creepy enough. They weren’t big thundering geysers, but it was still an impressive display of one of nature’s more unusual states. And go figure — it rained again. No matter, we got our hike in, and drove safely home despite a brutal hail storm. 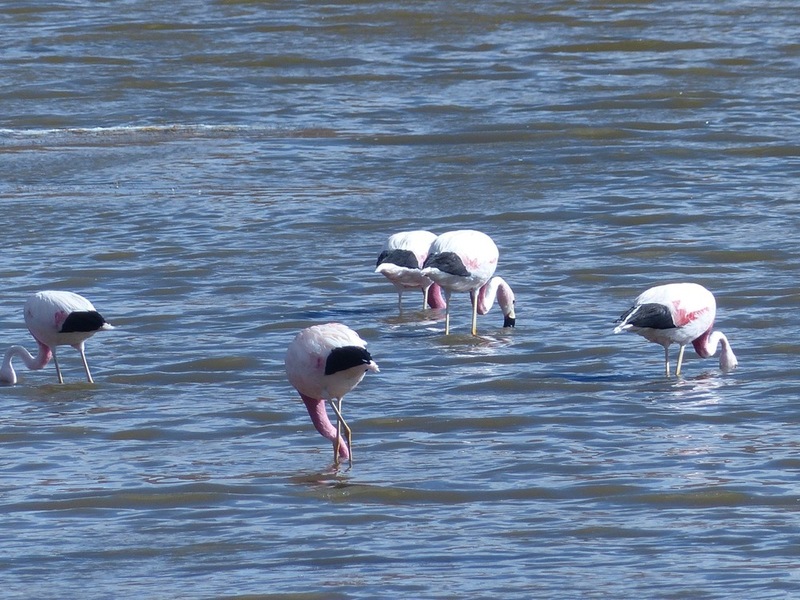 And of course, we saw some pretty groovy animals. Sandee has an overwhelming fascination with flamingos (she loves animals "that don't make sense"), so seeing them was worth the price of admission by itself. Ironically, we got big rain for two straight days, but this somehow added to the surreal environs. My only regret is that tourists aren’t allowed to see the ALMA satellite array, which surely is one of the coolest man made structures on Earth. 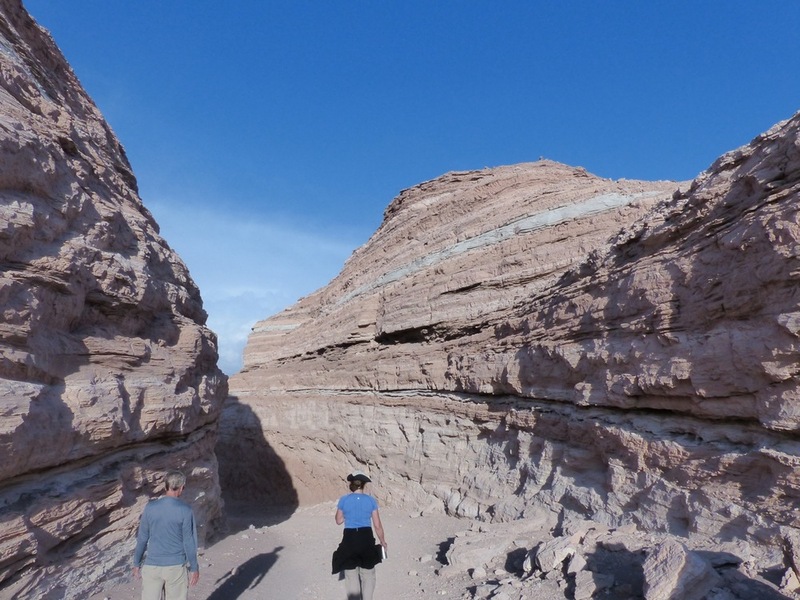 Atacama truly is a pretty strange and fascinating place. Its geology is odd enough that it was selected as the testing ground for the Mars Exploration Rover by virtue of having the surface that most closely resembled the surface of Mars. 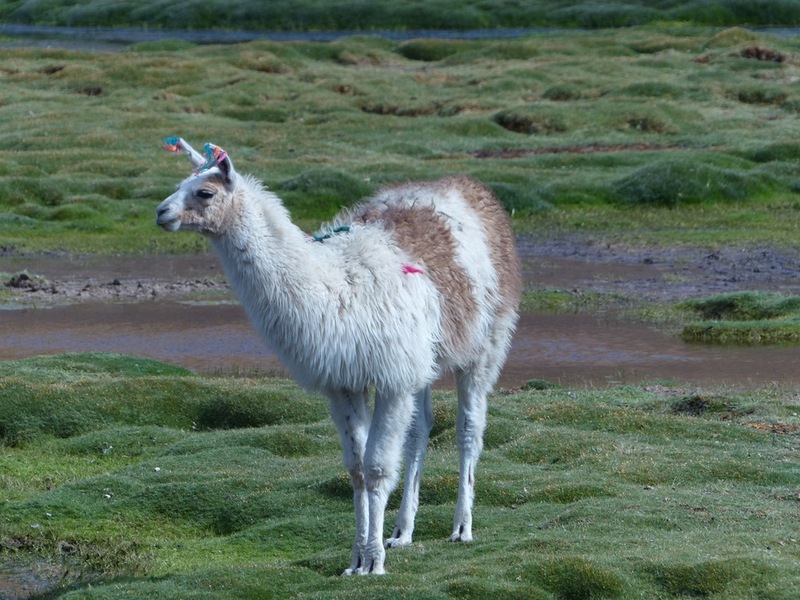 And that is definitely the impression that Atacama delivers. 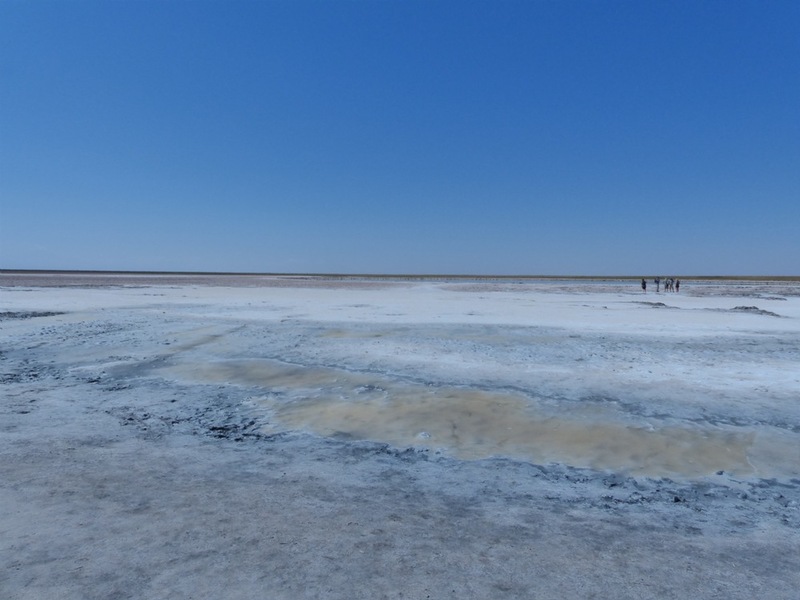 It was also amazing to witness the sudden swings of geography and climate, from unforgiving and starkly desolate desert to snow capped volcanos surrounded by water. Like a lot of places I have visited, I left feeling that I had only slightly scratched the surface, but it was enough to give me a taste for more. Highly recommended! Now off to our last leg... Patagonia.